Liberia’s central bank on Tuesday said it did not lose the $104 million newly printed notes that sparked outrage and federal investigation in the West African nation. According to the central bank Governor Nathaniel Patray, an internal audit found that all the notes shipped from the Swedish printer between 2016 and 2018 were properly accounted for and stored in the bank’s reserve vaults. The information minister said last month that two separate shipments of cash containing a total of $104 million went missing over the past year. The government had quickly launched an investigation and imposed travel restrictions on 35 people including former President Ellen Johnson Sirleaf’s son. The ministry of justice has submitted requests to the UN, the Economic Community of West African States (ECOWAS) and the African Union for assistance with the investigation. 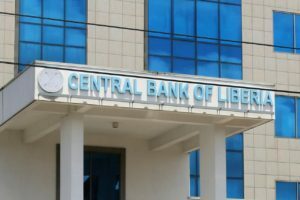 Rodney Sieh, the Liberian journalist who first reported the cash scandal, said in an editorial published on Tuesday that the sudden U-turn of the central bank “smells a bit fishy,” particularly given that the bank and its employees are subject of the investigation. The allegedly missing funds amount to about 5 percent of the annual GDP of Liberia, whose donor-reliant economy has been ravaged by two civil wars. The country, one of the poorest in the world, has an annual GDP per capita of $729, according to the IMF. Posted by Steven Addamah on October 3, 2018. Filed under Finance. You can follow any responses to this entry through the RSS 2.0. Both comments and pings are currently closed.